The launch comes in response to strong growth within the market and Compassion UK is delighted to be part of this exciting new chapter for Christian Music within the UK. Among the artists set to feature in the chart are many of Compassion’s Ambassadors, who regularly speak out on behalf of the poor and the ministry of Compassion. “Compassion UK are thrilled to be partnering with the launch of The Christian & Gospel Charts, we are honored to have many ambassadors for our ministry among Christian Music artists in the UK as we work to bring Worship and Justice together,” said Ian Hamilton Compassion UK’s CEO. 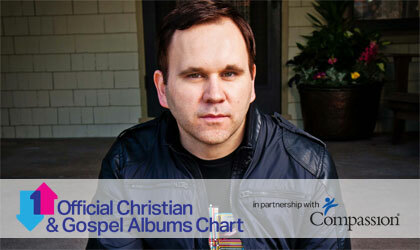 The Official Christian and Gospel Albums Chart will be broadcast every week on leading Christian radio stations Premier Radio and UCB, as well as being published weekly at www.officialcharts.com, the home of the UK’s Official Charts online. Christian and gospel music account for 7 per cent of all recorded music sales in the US, with 26 million albums sold in 2012 – more than the sales of classical, blues and jazz combined. “This is a defining moment and changes the landscape for Christian and Gospel music in the UK. Christian music has always been a part of society in bringing hope and encouragement. With the development of this new chart it will bring significant profile to this growing genre,” said Jonathan Brown, Managing Director, Integrity Music and on behalf of Christian & Gospel Music Labels. The chart will be launched on Monday 11 March at the St James Theatre, Victoria. Musician and TV vocal coach, David Grant will host the evening where industry leaders will be joined by artists from Christian and Gospel music, including former Delirious? frontman Martin Smith and London Community Gospel Choir.